It’s that time again when we request your help in updating your school’s profile in the Fiske Guide to Colleges. By completing the Fiske Guide to Colleges 2021 institutional questionnaire, providing comments on your school's write-up, and enlisting students to complete the student questionnaire, you are ensuring that we have the most up-to-date and accurate information for your school. Below and on the Instructions page of this website, you will find detailed instructions for accessing and completing the institutional and student questionnaires and providing feedback on your current write-up in the Fiske Guide to Colleges. Please use the data from your school’s 2018–2019 Common Data Set. When calculating enrollment numbers, please use full-time, degree-seeking students only. Do not include part-time and/or non-degree-seeking students. Please be sure to complete all questionnaire fields. 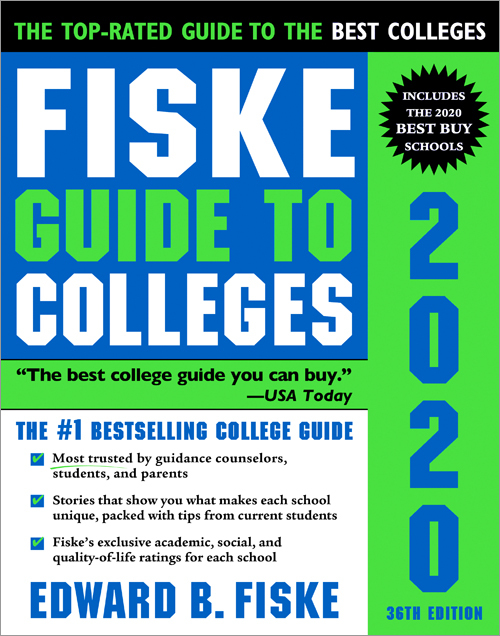 We also ask that you offer comments on your school's write-up as it appears in the Fiske Guide to Colleges 2020. Along with information in your questionnaire, such feedback is a critical part of our updating process that helps us keep your school's profile fresh and timely. Without such feedback, important information not solicited in the questionnaire might be overlooked. Write-ups are available to review now. When you are logged in, you can access the write-up by clicking the "Write-Up" button in the User Menu on the left-hand side of the homepage. Don't forget to invite 6 to 8 students to complete the student questionnaires at http://fiske.sourcebookscollege.com/index.php/student-questionnaire. When you are logged in, you will see the Student Access Code displayed in the lower menu on the left-hand side of the homepage; the Student Access Code is also provided to you by email. If there are other members of your staff, either within your department or in another department, who will be responsible for completing or contributing to the Fiske Guide 2021 questionnaire, please feel free to share your log-in username and password. You will not need to acquire a secondary username or password for additional staff members. We have added new questions regarding tuition and required fees for first-year undergraduate students for the full 2019–2020 school year. These questions draw directly from CDS section G1. We ask that you please verify whether the figures you submit are estimated or final. You will also be able to provide additional comments regarding tuition and required fees, if necessary. We have added a new question regarding the student services and scholarships or grants that your institution offers to international students. As a reminder, consistent with the Common Data Set, we are now seeking SAT test score ranges from the New (2016) SAT exam. We are no longer asking schools to provide data regarding the high school class rank of incoming freshmen. Thank you in advance for your time and efforts in updating the information on your school. We look forward to receiving your questionnaires and write-up comments no later than May 17, 2019.